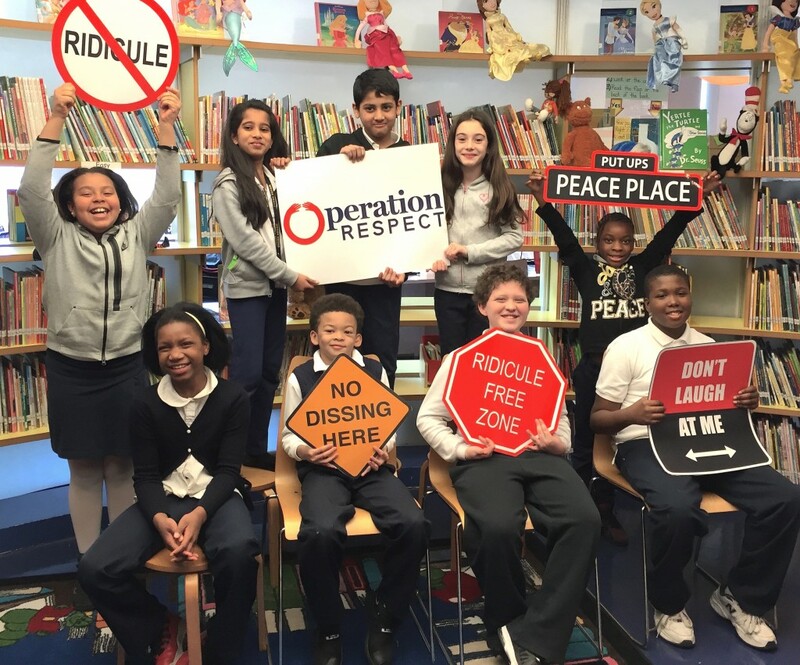 At Operation Respect we believe that all young people deserve, and have the right, to learn in a safe, respectful and caring community. For those of you who have already begun work to create such an environment, the Don’t Laugh at Me curriculum can add extra passion and new dimensions to that effort. For those of you unsure of where to start, but who know that such a community of learning is what you seek, Don’t Laugh at Me is the perfect way to begin. With music and other integrated arts activities included in each lesson, links to Common Core Standards, and grade level specific modifications, Don’t Laugh at Me engages students in experiences and learning through four cornerstone themes. Written by Laura Parker Roerden, the lessons of these themes build essential skills for reducing bullying and conflict, establishing a peaceful, supportive learning environment, and engaging young people in active participation in their community. A lesson building on previous explorations of positive and negative behaviors towards committing to making the classroom and school a Ridicule-Free Zone. A lesson to explore differences in people’s backgrounds and the experiences related to those backgrounds. The entire curriculum may be downloaded here.